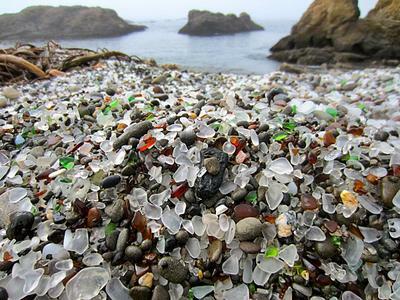 I had always dreamed about seeing the sea glass beaches of Fort Bragg. Since the kids had this week off, we decided to take a quick road trip. 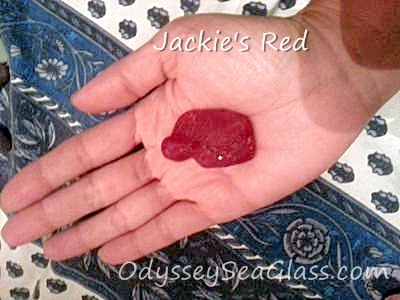 Yesterday at low tide my 8-year-old found this beautiful piece of red sea glass. 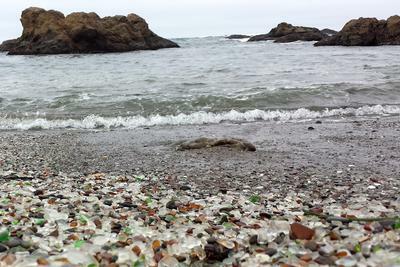 This was our first sea glass experience, so we took it to Captain Cass. He let us know that it was a nicely tumbled piece of red fire glass. The ridge on one side made him guess that it was possibly either the bottom of a bottle or a plate. My husband and I were there in January. We had a great time. We didn't see many colors though. Oh My Goodness. 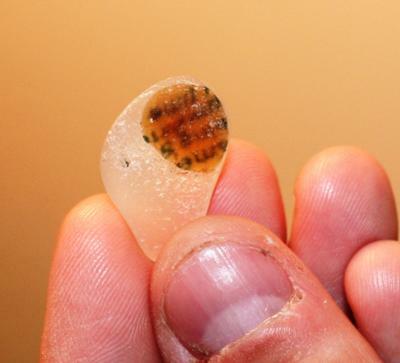 A red piece of sea glass for your first find! How wonderful. 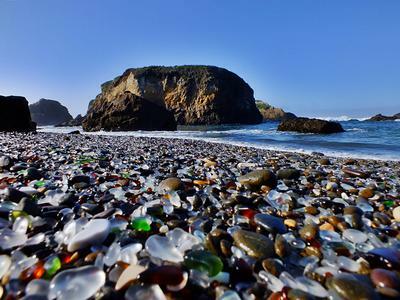 My grandchildren are all better at finding sea glass then I am. I say it is because they are closer to the beach, not that my eyesight is worse. Here's hoping that this is just the beginning of wonderful beach hunting for you and your children.